The Original cost of this magnificent luxury Cadillac was $3,535…expensive at the time. You could have purchased six Chevrolets for that kind of money. Approximately 80 Formal Town Sedans were produced, and this is one of two known to still exist. 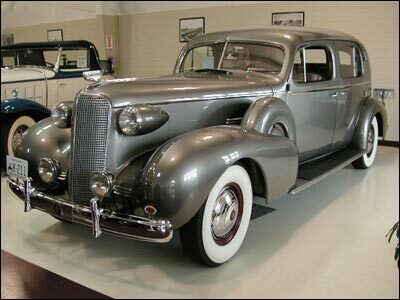 This car, serial #4130367, was shipped from the factory on March 15, 1937, and was sold originally by Greenlease Letterman Cadillac of Tulsa, Oklahoma. Since being restored, it has won national first place awards from the Antique Auto Club of America, Classic Car Club of America, and The Concours D’Elegance.